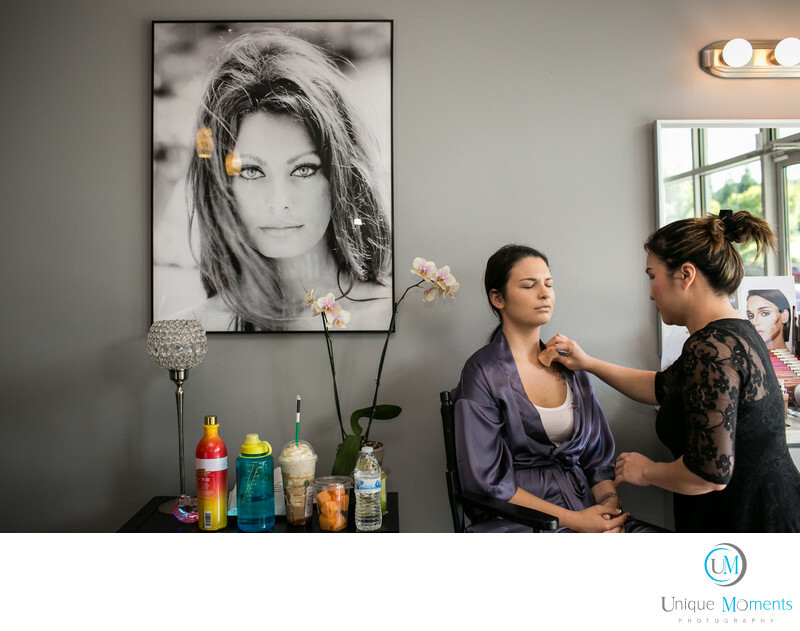 Unique Moments Photography of Gig Harbor Washington wants to get to your event early so we can capture images of the hair and make up process. If your going to be getting it done at a solon, even better. We want to be able to include images like this because they are different and they work well for your wedding album when you start to pick images.